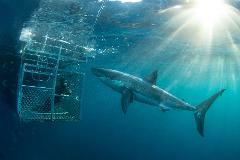 A 4 Day Safari offering topside viewing of great white sharks, surface cage and ocean floor diving. Includes Australian sea lion swim, Neptune Island tour & shark research talk. 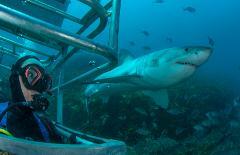 A 4 Day Tour offering topside viewing of great white sharks, surface cage and ocean floor diving. Includes Australian sea lion swim, Neptune Island tour & shark research talk. 3 Nights Twin/Double Accommodation (with en-suite) and 3 Dive Days On Location plus all meals! 4 Nights Twin/Double Accommodation (with en-suite) and 4 full Dive Days On Location plus all meals! 9 Nights Twin/Double Accommodation (with en-suite) and 9 full Dive Days On Location plus all meals! 5 Nights Twin/Double/Solo Accommodation (with en-suite) and 5 full dive days plus all meals! 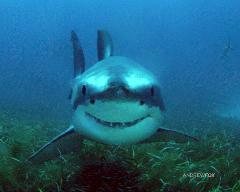 Dive with great white sharks and Australian sea lions. 5 Nights Twin/Double/Solo Accommodation (with en-suite) and 5 full dive days plus all meals! Dive with great white sharks, dive with Australian sea lions and cuttlefish. 5 Nights Twin/Double Accommodation (with en-suite) and 4 full Dive Days On Location plus all meals! A longer and more versatile Winter 5 Day BIG GIRL Season tour. Surface and ocean floor cage diving. 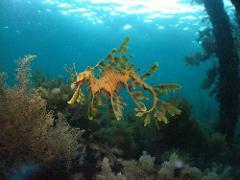 Australian sea lion swim, and Neptune Island tour and cuttlefish dive is weather dependent. 2 Night Great White Escape with 3 days of swimming and diving with Australian Sea lions, and multiple ocean floor cage dives. Plus a Neptune Island tour, shore party and shark research talk. All accommodation & meals provided. Introducing the Great White One Night Wonder! Great white shark topside viewing, surface dive and an ocean floor dive! Plus Australian sea lion swim, Neptune Island tour and shark research presentation. All accommodation & meals provided. 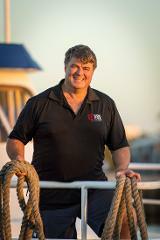 Andrew Fox hosted 5 Nights Twin/Double/Solo Accommodation (with en-suite) and 5 full dive adventure days plus all meals! Dive with great white sharks and Australian sea lions, and identify catalog and name all new sharks! 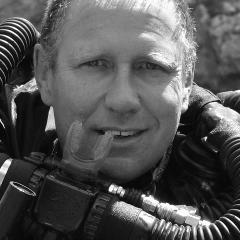 A 3 day/3 Night Tour with renowned underwater cave explorer host Dr. Richard (Harry) Harris joining Andrew Fox to dive with Great white sharks. Special presentation by Dr. Harry including his involvement in the epic Thai Cave Boys Rescue. A comprehensive 8-Night Itinerary allows convenient fly-ins from Interstate without the need for alternative Port Lincoln accommodation. An early return to port also allows any unrestricted (no-fly-time) divers flights back to Adelaide.